During the event, he not only highlighted the opportunities that exist for increased trade between the two nations, but also emphasized the value of the Mexican export platform that has been built by the North American country through its free trade policies and agreements since the early 1990s. Gonzalez Diaz pointed out that Mexico’s net of free trade agreements has been cast to cover forty-five nations. In straight economic terms companies that take advantage of the Mexican export platform have access to more than one billion consumers and two thirds of the world’s GDP. He noted that, in particular, Mexico is becoming a logistics hub for trade in advanced manufactured goods between the United States and Asia. In recent years, Mexico has become an export powerhouse among the nations that make up the G20. Of these countries, only two, South Korea and Germany, boast a percentage of GDP that is composed of manufactured exports that surpasses Mexico’s. In addition to citing the importance of using the Mexican export platform as a means by which to send more of the country’s manufactures to Singapore’s vibrant consumer market, especially in the areas of electronics, disposable medical devices, aerospace, energy and apparel and jewelry manufacturing, the head of ProMéxico.gob.mx pointed out that bi-lateral trade between Mexico and Singapore registered a value of two billion dollars in 2013. This number represents a threefold increase in the same economic measure over the prior year. 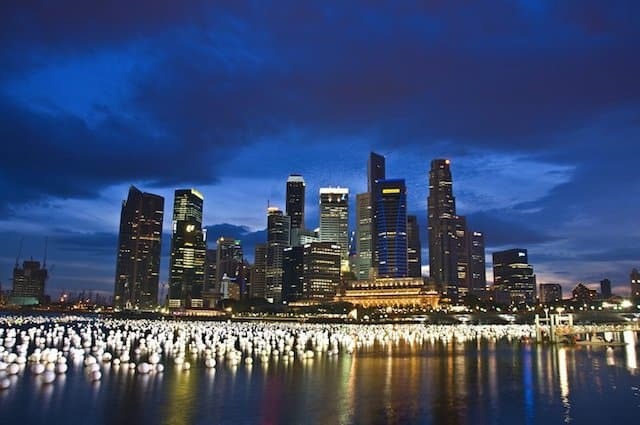 Finally, Gonzalez Diaz made reference to the important role that Singapore plays in the financial world, and pointed to that country’s financial sector businesses as potential partners in further efforts aimed at internationalizing Mexican businesses. Read the primary source for this post in its original Spanish at Empresa Exterior.